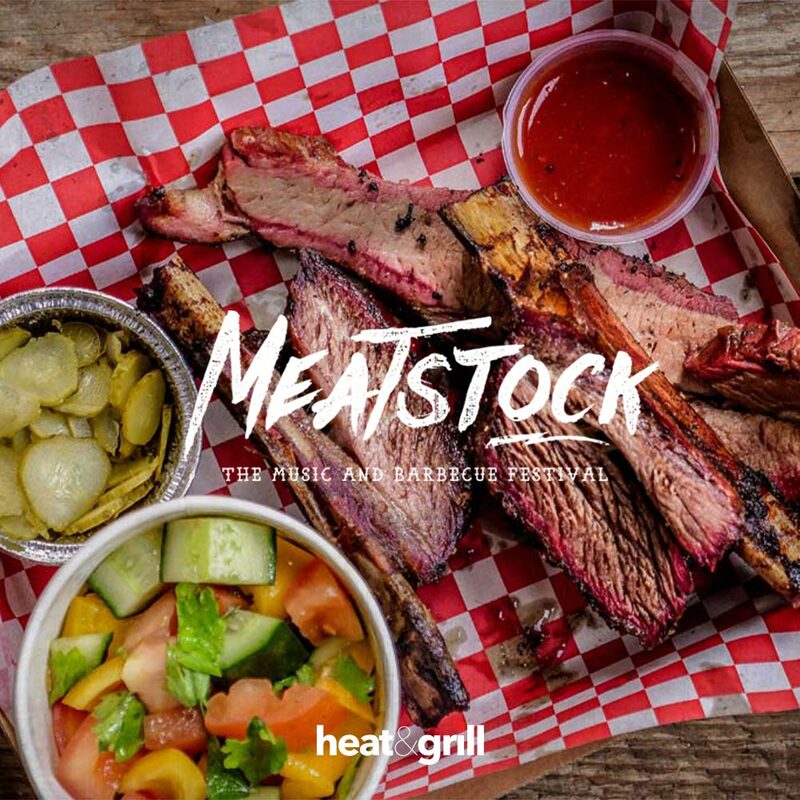 What is the Meatstock Festival in Melbourne all about? This BBQ festival returned to Melbourne this year and is fast becoming a must-attend Melbourne event at the Showgrounds. The event not only attracts visitors Australia wide but from all over the world. The bands, the meat, the exhibitions, the barbecue wars, the classes – are all fit for a grill master! Cooking battles included Melbourne BBQ Wars, King of the Que, Melbourne Butcher Wars and Barbeque Masterclasses. This is where barbecue teams come to battle it out over the grill. It is a complete weekend of the “B” word. Barbequing, beards, barbers, butchers, bourbons and beer. Who came to Meatstock 2019? This grill master is part of a BBQ team based in Sydney. These guys formed the first competitive team in Australia. They aim to participate in as many BBQ contests they can get to in the land. After showing off their skills for a while in America in 2016, the 62nd annual Jack Daniel’s world championship invitational came knocking. They made an impressive first outing, coming 62 in a field of 100. Also coming 5th from the international competition. This secured them a spot in the 2017 event. Now they are coming to Meatstock 2019 to show you how it’s done. Weber takes barbecuing very seriously. Not only do they supply a premium product, but they also provide premium people. Laura Romeo joined the Weber team in 2016 as the “recipe and content developer” for both Australia and New Zealand. She has created over 150 recipes for the brand and her instructional videos can be found on their well-patronised website. She has taken the Weber profile to a whole new level and has also appeared a judge at Meatstock in previous years. She holds the honour of being the first Weber grill specialist outside of the US and is responsible for running Australia’s grill academy events. Who played at Meatstock 2019? This man is quite at home at a barbecue festival. Musically, what this Henry hasn’t done, isn’t worth doing. He’s even been voted by the Age newspaper amongst in the group of Melbourne’s top 100 most influential people. In a weekly time slot on Double J, he hosts Australia’s biggest blues/roots music radio show called “Tower of song”. He has recorded with the likes of Edward Sharpe, Bill Callahan, Will Oldman, the list is long and distinguished. Back in 2016, he headed to Nashville to bring the real authenticity of blues/country/roots music to his album “After what I did last night”. Of course, he has hung out and jammed with likeminded country music-loving’ folk including Lucinda Williams, Justin Towne Earle, Okkervil River, John Hiatt and others. For the past 4 years, he has also hosted an arts show on the ABC called “Art Nation” and also conducts interviews for a series called “Rogue Tales”. You may think Henry has too much on his plate to provide a quality performance at Meatstock but think again. Henry and the Wagons will belt out anything from Elvis to Rob Orbison to Nick Cave, hold onto your cowboy hats! Abbey, Jaymi and Mia make up the trio from the central coast known as the Little Quirks. They blend the sounds of the mandolin, drums and guitars to create their unique folk/contemporary sound. Currently working on their first original EP, their playlist has everything from modern to older songs and their natural ability to interpret this genre and create “hold your breath” harmonies is amazing. They have cut their musical teeth on the entertainment venues and bars and are now ready to capture the audience at Meatstock 2019. Other headliners include The Sweet Jellyrolls, Bob Evans, Mojo Juju, Cigany Weaver, Frank Sultanta, Adrian Eagle. Others might pop in for a quick jam.